Mary Ellen Althoff, 69, of Marion and formerly of New Vienna, passed away unexpectedly on Sunday, September 17, 2017 at her home. Visitation will be held from 3:00 p.m. to 8:00 p.m., Thursday, September 21, 2017, at Kramer Funeral Home, 750 12th Ave SW in Dyersville where a parish vigil service will be held at 3:00 p.m. Visitation will continue Friday from 8:30 a.m. to 9:30 a.m. at Kramer Funeral Home prior to funeral services. A Mass of Christian Burial will be held at 10:30 a.m. Friday, September 22, 2017, St. Boniface Catholic Church, New Vienna, Iowa with burial in the church cemetery. Rev. John O’Connor will officiate. Mary Ellen Althoff was born on Oct. 30, 1947, the daughter of Ted H. and Leona (Klas) Althoff. After graduating from St. Boniface High School in New Vienna, she worked at Kerper’s Store in New Vienna and then at Harrison’s and Theisen’s in Dyersville. 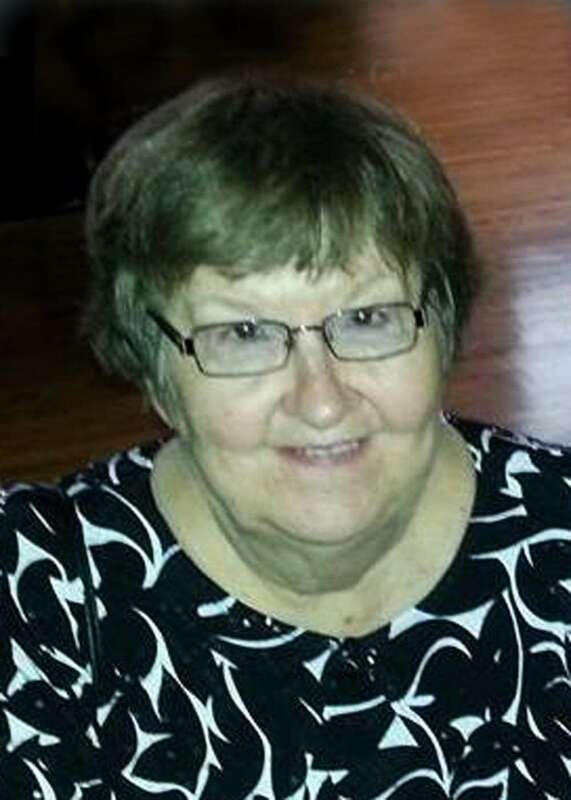 She moved to Cedar Rapids in 1969, and worked in inventory control at Quik-Way and Dysert-Peck and retired from the Accounting Department of the Cedar Rapids Gazette in 2010. Mary was a member of St. Joseph’s Church in Marion, IA. She will be remembered always for her quick wit and sense of humor; for the care she gave to her mother for 31 years; for the guidance, and support she gave her siblings, and her many nieces and nephews and great-nieces and nephews; and for her love of casinos, card games, country and polka music, and phone visiting. She is survived by her siblings and their families: Margie (Art) Nachtman of Ryan and their family Kenny Nachtman, Dr. Jane Nachtman (Ian Ferguson), Karen (Jim) Oppelt, Lisa (Dan) Edwards, Dennis (Sarah) Nachtman, Matt (Jill) Nachtman; Fred (Joan) Althoff of Robins, and their family Kristine (Matt) Coulter, Dr. Keri Althoff (Dr. C. John Sperati), Amy Althoff, Erin (Dustin Hittenmiller) Althoff, Nathan Althoff; Laurie (Craig) Rogers of Rockford, IL, and their family, Heather (Jamie) Jackman, Sarah (Steve) Schrandt, Kyle (Ashley) Rogers; Gary (Marilyn) Althoff of Earlville, and their family, Tammy (Earl) March, Shannon (Dee) Althoff, Josh Althoff; Joyce (Mike) Wessels of Rickardsville, and their family, Brian (Amanda) Wessels, Wendy (Kyle) Askling, and Anne (Matt) Delaney. Also surviving are great-nieces and nephews, Andy, Shane, and Devon Nachtman; Jeremy and Thomas Ferguson; Madison Oppelt; Samantha, Rebecca and Kathyrn Edwards; Madeline, Abigail, and Zachary Nachtman; Maximus and Layla Nachtman; Ella, Claire, Jackson, Bryn, Luke and Sam Coulter; Charleston, Eleanor and Camille Sperati; Declan and Sawyer Althoff; Michaela, Moira and Thomas Jackman; Alexa, Ryan and Jake Schrandt; Briana, Shelby and Anthony March; Aubrie and Emalynn Althoff; John, Luke, Matthew and Samantha Wessels; Haylee and Cassandra Askling and Ava Delaney. She was preceded in death by her parents, a great niece, Caitlin Schrandt, and her long time friend, Ralph (Cliff) Kluesner in 2003. Her family deeply appreciates all those who laughed with her, enjoyed the casinos with her, and also the fellowship of ABWA and her condo association friends who shared their time, stories and lives with Mary. Online condolences may be left for the family at www.kramerfuneral.com.